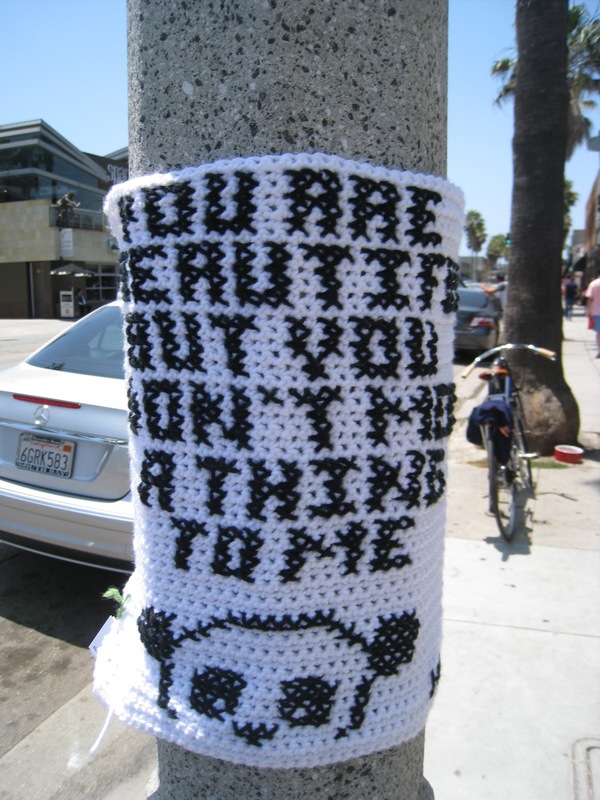 I've never seen knitted graffiti before, but walking down Abbot Kinney today took care of that. I'm not crazy about the sentiment (You are beautiful but you don't mean a thing to me - snarky), but I am down with the cozy creativity. And the little Panda.